Now, that is a title. In this case, I really think you need every bit of it to convey all of the delicious components. It’s not just a coffee cake. Not even close. I gravitate toward the simpler recipes. As much as I love to bake, I don’t really want to spend hours on end doing it. 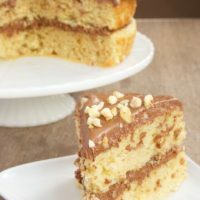 My first reaction after reading through this recipe was that it sounded like it was far too involved for a coffee cake. You’ll use many, many bowls and measuring cups, not to mention using just about every electric appliance in your kitchen. Rest assured that it is not difficult to make. It is a bit more time-consuming, but I do believe it is worth every minute. 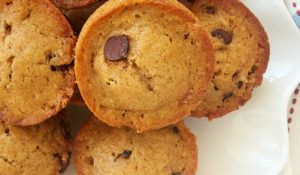 This recipe is from Carole Walter’s Great Coffee Cakes, Sticky Buns, Muffins & More. For those of you who like these kinds of baked goods, I think this cookbook is a must have. This is my first recipe to try from this book, and, judging by all the tabs sticking out of it, I am sure it will not be my last. This is one of the very best coffee cakes I’ve ever had. Of course, I’m a huge fan of chocolate and pecans. Plus, it doesn’t hurt to add in some cinnamon, too. Combine a few of my favorite things, incorporate them into a wonderfully delicious cake, and I couldn’t be happier. Break chocolate into 1-inch pieces. Place in the bowl of a food processor, and pulse until chocolate is finely chopped. Add nuts, sugars, and cinnamon. Pulse until nuts are finely chopped. Preheat oven to 350°. Butter a 10-inch Bundt pan and dust with flour, shaking out the excess. Stir together sour cream and baking soda in a small bowl. Set aside. Whisk together flour, baking powder, and salt in a large bowl. Set aside. Cut butter into 1-inch pieces. Mix on medium speed with an electric mixer for about 2 minutes. Add 1 cup of sugar, 1-2 tablespoons at a time, taking 4-6 minutes. Add egg yolks, two at a time, and beat for 30 seconds after each addition. Mix in vanilla. Stir the milk into the sour cream mixture. Reduce mixer speed to low. Alternate adding the flour mixture (in 3 parts) and the sour cream mixture (in 2 parts), mixing just until blended after each addition. In another bowl, beat egg whites on medium speed until frothy. Increase mixer speed to medium-high, and whip until soft peaks form. Add remaining 1/4 cup sugar, a tablespoon at a time, taking about 15 seconds. Beat for another 15 seconds. Fold one-third of the egg whites into the batter, taking about 20 turns. Then, fold in remaining whites, taking about 40 more turns. Spoon about one-third of batter into prepared pan. Sprinkle about one-third of the chocolate mixture evenly over the batter. Cover with half of remaining batter, and smooth evenly without disturbing the chocolate layer. Sprinkle with remaining chocolate mixture. Cover with remaining batter. Marbleize batter using a table knife cutting almost to the bottom of the pan. Bake for 50-60 minutes, until top is golden brown and springy to the touch. A toothpick inserted in the center should come out clean. Cool on a wire rack for 20 minutes. Cover with a wire rack, invert the cake, and lift off the pan. Store in an airtight container for 5 days. May be frozen. Recipe slightly adapted from Great Coffee Cakes, Sticky Buns, Muffins, & More. 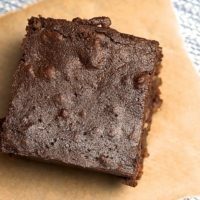 I post a chocolate recipe ever Friday for Chocoholics Anonymous, this is it for me. Just enough chocolate to qualify and everything else I absolutely love. Coffee cake is one of my hidden obsession, always looking for the perfect recipe. That cake looks delicious! 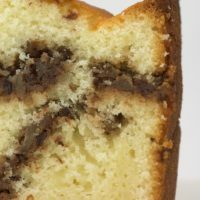 I think it would be good on it’s own, it has the perfect crumb, but with that chocolate mixture, must be really special! Oh does that ever look good. The added chocolate sounds wonderful. I would like to try this! 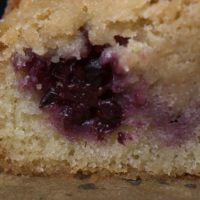 sour cream make the best cakes ever… I have to be careful when making these coffee cakes because I will devour the whole pan over a course of a couple of days if I am not careful! I want that book but is there a good mix of recipes? Haven’t made a coffee cake in a while now, Jen – tks for inspiring me in such a delicious way! That is one of the most tempting coffee cakes I’ve seen! This is one of my favorite cakes! My mom’s recipe uses a cake mix and cocoa powder rather than chocolate pieces. I know this version is probably ten times better but I’ll always have a place in my heart for the easy version! This cake sounds great, and maybe I’m just being unobservant, but I’ve read the recipe and there doesn’t seem to be any mention of coffee…? Oh. My. Can you please mail me a piece? I rarely drink coffee but now I want coffee. With a slice of this. The coffee cake looks delectable! I have the same book from library and made the vanilla bean pound cake some time ago. Glad to know that this is another winner too. Wow, that looks great! It looks so moist! 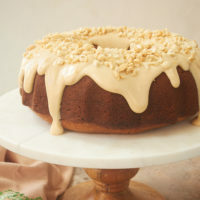 I am a huge fan of coffee cakes, this one looks very good! Nothing like a big tube pan warm out of the oven to cool as we wait for a taste. Yum! All your recipes and photos looks SO good. Few baked goods are quite as satisfying as an amazing coffee cake. This one looks like a must try! an amazing coffee cake for sure. love how you kicked it up a few notches. Mmm. This looks great! And that cook book sounds wonderful as well. Amanda, the recipes in the book can get a bit repetitive. There are a few variations of this recipe in there. But, it’s a big book, so there are plenty of other recipes. this sounds like something right up my alley. and it looks so moist and delicious. yum! Your pictures are so good I feel like I can almost taste the coffee cake! 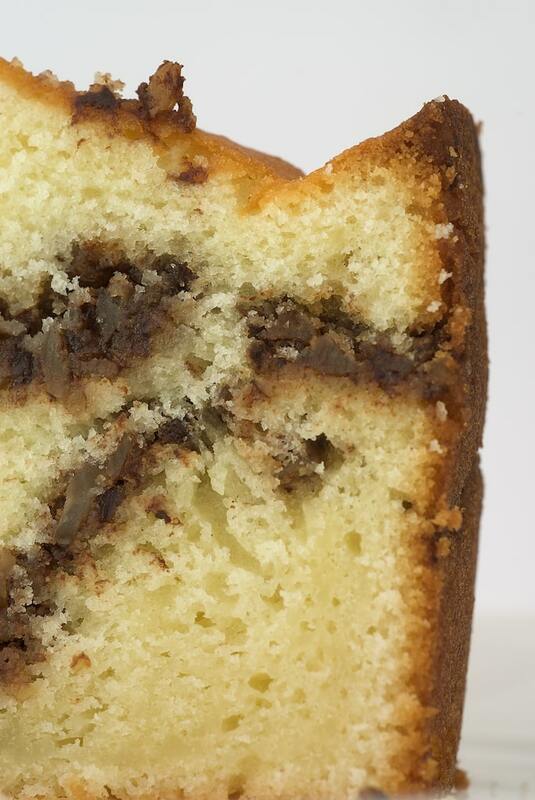 It’s so easy to see the signature sour cream cake texture in these pictures, too! I just recently ordered this book and can’t wait for it to get here – I will definitely have to give this a try because your cake looks amazing! Oh okay. Yet another demonstration of the way that American and British English really *are* different languages! I love coffee cakes. That looks really good. Can’t wait to try this! I like coffee cakes. But for some reason don’t make them very often. This one looks good! The chocolate would be an added plus! The cake itself just begs for a cup of coffee! I *adore* sour cream coffee cakes, and yes, every word has to be in the title to honor all those separate components. I find that this cake is best with the morning coffee. 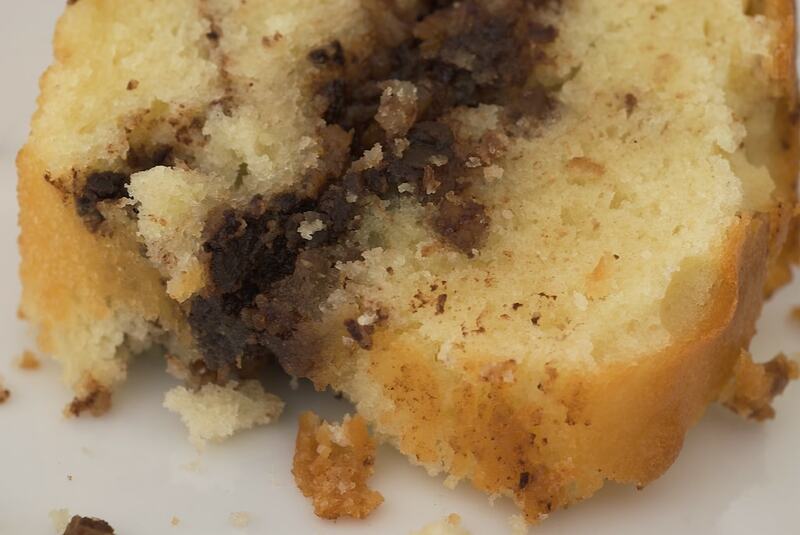 You´re right, this is not just a coffee cake, this is THE coffee cake! That photo is absolutly sinful! I often see people using sour cream in cakes but I’ve never tried it, who came up with that idea? It looks a lot more like angel food cake but it looks scrumptious. 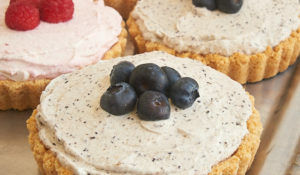 I love using sour cream in cakes… very nice recipe and it looks deliciouc. Your blog i s great and I am a regular for that reason. Keep up the good work. Oh my gosh, I’m such a coffee cake hound and always on the hunt for delectable recipes. You’re so right though about using every bowl and appliance in the kitchen. I have a recipe for a similar coffee cake. There is grated almond paste in addition to the nuts and chocolate in the streusel. Time consuming to make and I had better make sure the dishwasher is empty before I begin because, after making the cake, the various bowls, cups and utensils used will fill it. But people drool like Saint Bernards when I bring it to work. Jennifer, this looks amazing as every recipe you post!! Cannot wait to try. Looks worth the effort. I love cakes with secret layers that you only find on cutting. I’m so glad you said that it was way above and beyond run of the mill coffee cake. Love the surprise inside layer and the photography is perfect as always. This looks like such a great coffee cake. I’d be proud to take this to any brunch! Thanks for sharing this recipe. Yum! I have never made a cake with sour cream. It looks so good! Great photo too. 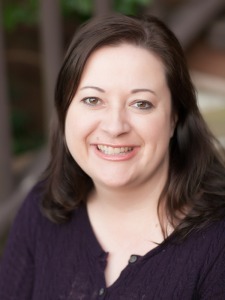 Lisa, Kristen, and Chuck – thanks! I’m with you, I gravitate towards the basic recipes and then love to tweak them a bit. I’m am loving this cake…anything with sour cream is delish. This looks great, I’d love to eat a piece right now! I’ll have to see if my library has that book. I made the coffee cake!! I even bought myself a new bundt cake pan from Williams Sonoma (which I’ve been wanting to buy for a long time) and it came out beautiful. It smelled great while it was baking and it was delicious with a good cup of coffee. I would have to agree that it did feel like I was using every bowl in my kitchen, but so worth the mess. Now that I have my new pan, I’ll be looking for more recipes. Oh my god, I brought this cake to my grandmothers’s birthday, and she loved the recipe! Thank you very much, Jen. Oh, and I substituted a bit of the sugar in the chocolate mixture with 1TS of espresso powder – try it, it was great! stella, that’s great! I’ll keep the espresso hint in mind. 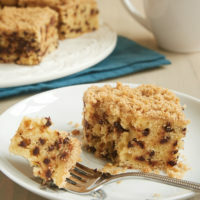 The Coffee Cake looks like the crumbs could fall down on my keyboard….Great Pictures (and I would eat even the crumbs!) Can’t wait to try this receipe. I’m going to try this recipe very soon. Thank you for sharing! Hi, Virginia. I used a standard tube pan. 16 cups is a bit big for this cake. It will work, but you’ll have a lot of empty space at the top. I would suggest a 10-cup or 12-cup for best results. Great – thanks so much! 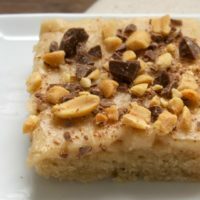 I made it – it was a bit thin when using my 16 cup pan, but it was still sooooo delicious!!! Might have to get a new pan to make a thicker one. A hit nonetheless! Can I use regular sugar if I don’t have superfine sugar?? Thanks!! Hi, Melissa. You can use regular sugar. 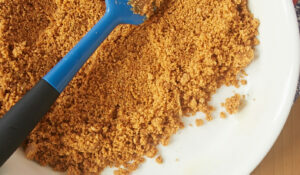 You can even make your own superfine sugar by processing regular sugar in a food processor for about 30 seconds. Made this today! A Keeper! I used regular sugar, not superfine and it’s perfect. Lighter than my other sour cream coffee cakes due to the whipping of the egg whites. Make it, you won’t be sorry!